Read his [very brief] inauguration speech here. Various coverage: NYT, Independent, Komsomolskaya Pravda, NPR, The Times, Boston Globe, Vremya Novostei, The National Interest. 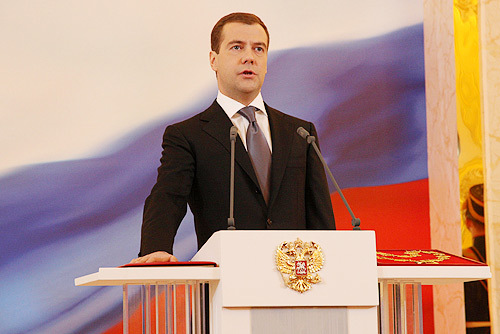 This entry was posted in President Medvedev. Bookmark the permalink.